Learn the 3 life hacks that keep Franklin Covey's Chief People Officer centered. Todd Davis: Well, the very first thing I do is a quick “bio break” (comes with age). But after that, on my ideal days, I spend a few minutes reading something inspiring and thinking for a few minutes about who I am and who I want to be. Sometimes I will review my “personal mission statement”, a document I wrote many years ago which outlines the contribution I hope to be making to my family and to the world. I said I do this on my “ideal days.” When that happens, the entire day goes differently in a great way. When I miss this “ritual”, it’s usually less than ideal as to how the day turns out. TD: Energy, positive energy for me comes from being with people I enjoy. People who enjoy life and have fun. People who work hard and are serious when the situation calls for it, but who never lose sight of relationships being the key to all true happiness. People who realize you can work hard while having fun and enjoying it. There are those people in our lives who drain us. Your cell phone rings and you see their name flash up and you think to yourself “ugh…I don’t have the energy for this right now” having NO idea what the topic even is. Then there are those other people in your life who, regardless of the situation, you choose to be around because they energize you. Positive people give me energy. TD: I don’t know that I have just one secret life hack, but a few that rise to the top are: 1) remembering I’m on a journey and have the ability to make today better than yesterday. 2) Think we, not me – meaning remember that everyone is important and we all want to be included and to feel valued. 3) Karma is real so don’t ignore it. Not always right away, but in the end good things happen to good people. Be a good person. TD: This will sound a little self-serving because I’ve worked for FranklinCovey for the past 21 years, but my honest answer is The 7 Habits of Highly Effective People. While it contains hundreds of principles, processes, and great lessons, the number one paradigm that shifted in me when I first read it, and that I continually remind myself of nearly every day, is that I (and no one else) am responsible for my own happiness. TD: While my phone doesn’t sleep with me, it does sit on my nightstand at night. I don’t look at anything on it after I get in bed or before I actually get out of bed in the morning. But I keep it by my bed as a phone. I have 4 children and they and their families know I am always just a phone call away if they need me. But, during my waking hours my phone seldom leaves my hand. I know….that can be a problem. But I don’t let it become one. Whenever I’m meeting with someone one on one, I turn my phone on silent mode and place it face down on the table. I work hard to give others my complete attention. Now, that can be a little different in group meetings where I am one of many people. If a topic in the meeting comes up which doesn’t require my attention or input, I will take a look at my phone to see if there are any quick email questions I can answer. Maybe not a great practice, but it works for me. TD: Ah……the never-ending challenge of email. It can be discouraging and sometimes overwhelming until I remind myself that email is just the way we communicate today. So when I reframe the question to be “how do you deal with communication” I think about how important it is to have communication. To keep people informed about what’s going on. To respond within a timely manner. To not bother people unnecessarily (meaning don’t email or copy people on emails unless they need to actually do something). But back to your question….I have good weeks and bad weeks. On the good weeks, I begin the week with my inbox completely empty. I know…..impossible. But occasionally that happens. Now granted, that only lasts for about 5 minutes, but nevertheless, it’s a great way to start the week. Then I make a commitment to myself each day to go through my inbox before leaving for home. The purpose of this is to begin each morning with an empty inbox (except for what has come in overnight). I tend to accomplish this more often when I can block out the last hour or so of each day to address what’s in my inbox. And that is not always possible. On weeks when it is, I feel more productive, on top of things, and really in control of my life. The opposite of that is when I get several weeks of build-up in my email and only quickly scan them each day to catch the most critical items. Things get missed and it’s an ongoing, uncomfortable feeling. I’m certainly not a model of perfection when it comes to mastering email, but I do think that scheduling time in your work day (not at home with people who’ve waited all day to spend time with you), is a critical behavior to handling email effectively. TD: I always have a couple of “back burner” projects going. By back burner, I mean things that I’ve proactively started on that aren’t “due” for a while. These could be anything from writing a new presentation, or preparing a section of our next annual report for which I’m responsible, or perhaps planning our family’s next summer vacation. When I have an unexpected 15 minutes pop up, I will often go to one of these items and move them a little further along. And lest you think I’m always that organized, dedicated, and efficient, sometimes I will just use the unexpected 15 minutes to get caught up with a friend or colleague. TD: Just last week. One of my strength’s is that I’m very accommodating. I tend to be a people pleaser which on the surface sounds great. But you end up saying yes to almost everything that is asked of you. It comes from a good place. You want to help. You want to contribute. You want everyone to like you. But there is a limit to how much time and energy anyone has. I’ve gotten better at it, but once in a while I will say yes to too many things and then as I honor those commitments, I can feel myself burning out. This is what happened last week. I was asked to deliver a couple of presentations for clients, do a few interviews on my new Get Better book, write a webinar to be delivered by myself and some of our other consultants (and then deliver it), and also give someone some interview coaching they had asked for. All of this on top of my “day job.” While I completed it all, I was “toast” for the weekend….the time I have with my family….the people I say matter most. My family got the “leftovers” of my energy….which wasn’t much. TD: My favorite go to quote is very well known. It keeps me grounded and focused in every area of my life. It brings me peace. I honestly play my abbreviated portion of it over and over in my head a few times a day. “Be the change Todd.” The full sentence from Mahatma Gandhi is “Be the change that you wish to see in the world.” Regardless of the situation I’m in, whether at work or in my personal life, this powerful reminder that the way to influence others is through my own behavior and example, has proven to be the most valuable lesson I’ve ever learned. It’s true for me and I believe it’s true for everyone. 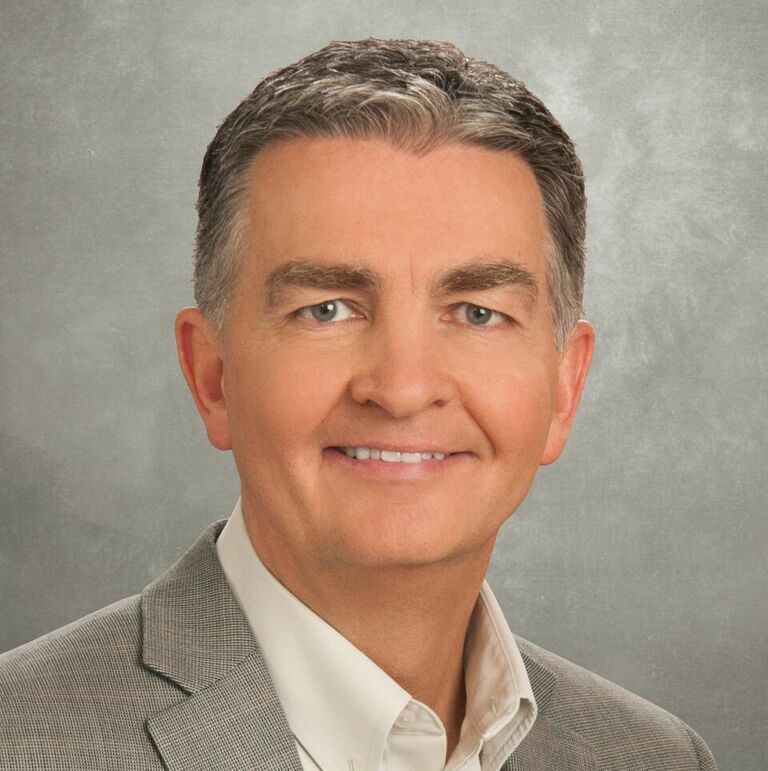 Todd Davis is the author of FranklinCovey’s newest book, Get Better: 15 Proven Practices to Build Effective Relationships at Work. He is also a co-author of Talent Unleashed: 3 Leadership Conversations to Ignite the Unlimited Potential in People. Davis has over 30 years of experience in human resources, talent development, executive recruiting, sales, and marketing. He has been with FranklinCovey for over 20 years, and currently serves as chief people officer and executive vice president, responsible for global talent development in over 40 offices reaching 160 countries. As a former director of the Innovations Group, he led the development of many of FranklinCovey’s core offerings. Davis also served as the company’s director of recruitment, responsible for attracting, hiring, and retaining top talent, including more than 3,500 employees. Davis has delivered numerous keynote addresses and speeches at leading business, industry, and association conferences, such as the World Business Forum (WOBI), the Chief Learning Officer Symposium, Association for Talent Development (ATD), and HR.com. He has also presented at corporate events, and for FranklinCovey clients, many of which are Fortune® 100 and 500 companies. His topics include leadership, personal and interpersonal effectiveness, employee engagement, talent management, change management, and building winning cultures. As a respected global thought leader and expert, Davis has been interviewed by numerous media outlets, including Fast Company, Harvard Business Review, Inc., and Thrive Global.